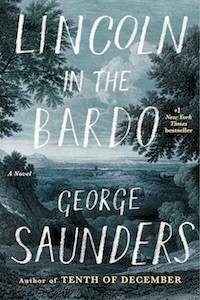 George Saunders is an American author widely known for his inventive short stories—and by inventive, I mean honestly, down-right strange. They include everything from ghosts to the sad-sack worlds of the future where everyone is owned by the corporations where they work, which sometimes are medieval theme parks. 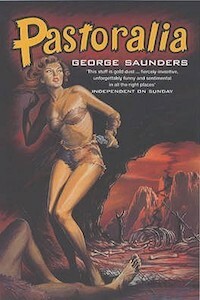 Saunders’s short stories have been lauded for more than a decade. They’ve been published in Harper’s, The New Yorker, and Esquire to name a few places, and they’ve been awarded the O. Henry Award for the short story, the Story Prize, the Folio Prize, and several National Magazine Awards for Fiction. In 2006, Saunders was honored with the Guggenheim Fellowship as well as the MacArthur Genius Grant. His first novel, Lincoln in the Bardo, won the Man Booker Prize in 2017. Basically, the guy’s got it going on. Despite his numerous accolades and talents, Saunders is famously a pretty nice guy. He even gave a commencement speech about it, which you can read as Congratulations, By the Way: Some Thoughts on Kindness. I feel like after all the praise I’ve just heaped on him, it goes without saying that George Saunders is one of my favorite authors. However, since I’ve been reading him for as long as I have, I know better than most that some of his works are more…accessible than others. You need to build up to maximum weirdness levels. But once you really dig in, I think he’ll become an author you love and return to again and again. 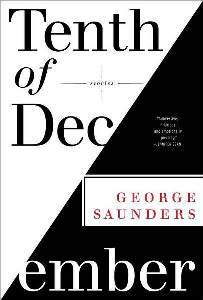 I believe Tenth of December is Saunders’s most accessible book. You still get a taste of Saunders’s imagination, but you won’t have to do as much mental gymnastics as with his other books. What you will really dig about this collection is Saunders’s magic power of voice. He effortlessly changes diction and tone between stories and between characters. It’s really a stunning collection. No wonder it was a New York Times Bestseller List. My favorite story in this collection is The Semplica-Girl Diaries, which was published by The New Yorker in 2012. This story seems fantastical, but it also makes a potent comment about the dangers of capitalism. No spoilers. You’ll see. First off, what a killer title, am I right? The name CivilWarLand in Bad Decline bounced around in my head like an earworm for years until I nabbed this book. I made the mistake of reading it after Pastoralia, and that made be feel like CivilWarLand was staler than I would have if I’d read it first. CivilWarLand was published first, and it delves into similar themes: dystopian near-futures, ghosts, and all-too-literal readings of the horrors of capitalism. It’s like they’re a continuation of the same essential idea that eventually culminates in Lincoln in the Bardo…but I’m getting ahead of myself. 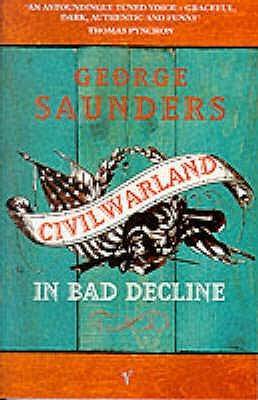 CivilWarLand in Bad Decline is a short collection. It contains six stories and a novella. It’s also an essential step in understanding Saunders’s Development as an author—and an essential onramp to his ultimate weirdness. Pastoralia was the first George Saunders book I ever read, and it has lived on as my favorite of his works, perhaps even to rival Lincoln in the Bardo. With only six stories in this collection, you’d think it’d make for a slim read. Not so. The New Yorker published all of these stories before they became this collection. Four of the stories even won the O. Henry Award. The story “Winky” is totally bizarro even for Saunders. There’s a self-help guru, these strange steps, and, as always with Saunders, Official Corporate Capitalization™. “Sea Oak” features an embittered ghost. But my favorite story in the collection is “Pastoralia” itself, which follows the life of a man who plays a caveman in an amusement park diorama. But wait. It gets weirder. The caveman’s parter has been breaking character. Fax machines and “Daily Partner Performance Evaluation Forms” are involved. This story even inspired GEICO’s series of caveman commercials. No, really. To call Lincoln in the Bardo a bizarre book would do disservice to the word bizarre and to the word book. Lincoln in the Bardo is Saunders’s masterpiece. I would call it experimental fiction at its finest. Heavy on the experiment, but heavy on the heart, too. Lincoln in the Bardo deconstructs the form of fiction as you know it, obliterates conventions, and if you don’t read carefully, you might get lost, and fast. As soon as you open it up, you’ll see why. The form is theatrical, with many speakers. There is a layering effect that requires close attention to really enjoy its nuance. For maximum reading pleasure and minimum reading confusion, I suggest listening to the audiobook as you read along in print. Bonus: several phenomenal actors are readers for the audiobook, including Nick Offerman, David Sedaris, Susan Sarandon, Megan Mullally, and more. I’m a super huge fan of George Saunders. I’m glad someone convinced me to try his work, as offbeat as it may be. I hope I’ve convinced you, too. Happy reading!